The Volcano editorial collective gratefully acknowledges that we live, work, and struggle for justice and liberation on the unceded lands of the Squamish, Musqueam, Tsleil-Waututh Coast Salish nations. In the spring of 2012 a group of Downtown Eastside residents and community organizers published the first issue of the Downtown East newspaper. The editors, writers, and publishers were also activists on the ground fighting back against gentrification, homelessness, deepening poverty, violence against women, and racism. We wanted to record the issues that were important in the community and publish them. We also wanted to respond to the lies told about the Downtown Eastside by mainstream media and politicians, and to tell the truth as the people themselves felt it. We believed we could use those truths to mobilize our communities together in a better informed, more self-consciously radical, and therefore more powerful struggle for justice. Welcome to the first issue of The Volcano, a quarterly newspaper that will continue the political legacy of the Downtown East. The Volcano is a newspaper grounded in predominately low-income working-class and Indigenous people’s movements for justice throughout British Columbia. We hope it will extend the reach and impact of those movements within and between neighbourhoods and communities by amplifying their legitimate critique and demands. Our old name Downtown East was borrowed from the name of the Downtown Eastside Resident Association (DERA) newspaper in the 1970s and ‘80s. 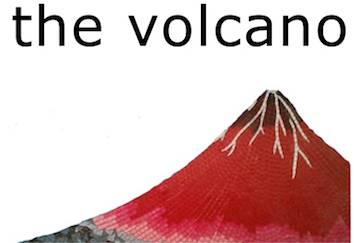 Our new name The Volcano also refers to legacies of peoples’ struggles on these territories and to the proud tradition of telling stories as a way to stay alive. In 1911 Six Nations Mohawk writer E. Pauline Johnson published a version of a Squamish legend told to her by Joe Capilano (Sá7pelek). The story of the “Lost Island” tells of a Squamish prophet, anticipating the coming of settlers, who hid all the people’s “courage, fearlessness, and strength” on an island that sunk into the sea. This power was hidden, but was safe, “living forever.” In a collection of stories published in 2014, over a hundred years later, Wayde Compton, a writer and Vancouver Black community advocate, retold this story as a volcano exploding suddenly in the middle of Burrard Inlet, birthing new land out of old stories, free of Canada. For anyone who has lived in British Columbia for long, stories of an inevitable terrible earthquake should be familiar. The Volcano promises that shaking up society as it is can bring back the islands of courage we have been looking and waiting for. The Volcano can strengthen the unity of our movements by looking closely at the issues that unite us as well as the differences among us. We have learned from Indigenous community practices in Downtown Eastside women’s organizations that learning to hold differences – of identity and also of certain political positions – can strengthen our unities. But these differences must not be held in silence, they must be spoken. We hope The Volcano can be a space for this necessary speaking. Elites in Canada (and in Western Canada in particular) have responded to the global economic crisis that peaked in 2008 by leaning harder on two short-term and destructive economic strategies: real estate development in cities, and resource extraction in rural areas. (This makes Rich Coleman, Minister of Natural Gas Development and Responsible for Housing, the Provincial Minister of Displacement.) Both real estate and resource extraction require stealing resources from Indigenous nations and destroying non-capitalist economies and social networks. They both yield short-term, high profits for a few at the top, and short-term, insecure jobs for the rest involved. They both rely on constant, destructive growth their industry-boosters call development. As well as causing long-term ecological destruction through climate change, oil spills and gas-fracking leakage, resource extraction displaces Indigenous people from the land to the cities. Through urban gentrification, and because tax cuts for the rich have eroded social housing and programs that stabilize low-income communities, real estate development displaces them again. Under the real estate / resource extraction economy of British Columbia, and with austerity agendas gutting social programs that used to redistribute some wealth, displacement has become the norm. Many people do not have the option to stay in the communities where they feel safe and belong. In this displacement pattern, our communities are in motion. Following this reality of perpetual displacement, The Volcano seeks to broaden out from any one neighbourhood to include more communities in struggle in British Columbia. We want The Volcano to be a movement-building tool that can highlight local and individual experiences of the housing and displacement crisis while politicizing these experiences as focal points to unite around and against. By identifying this crisis as exposing the brutalities and vulnerabilities of capitalism and colonialism in BC, we hope to help unite peoples and communities most affected, demand immediate reforms and improvements, and develop a shared vision for a world beyond capitalism and colonialism that we can bring about together.